Please raise your hand if you’ve ever struggled with getting staples out of your expo table! When you have to attach skirting around an entire table, there is currently no better way than stapling. However, if you don’t quickly remove those staples after your show the edge of your table will eventually become damaged. Well, there’s good news: Removing each individual staple no longer has to be a huge ordeal. 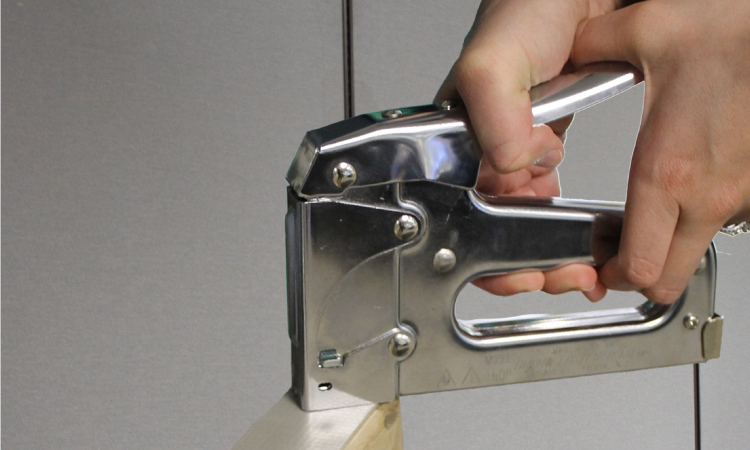 With the new Table Edge Staple Strip at your disposal, you can remove all attached staples with this one-and-done technique. We’ll walk you through how to use it right now in this blog post. Before diving in we do need to explain that our version of the expo table, the Ultimate Expo Table, already a special hardwood specifically designed for easy staple removal. 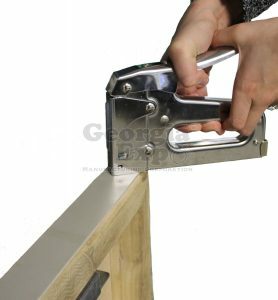 Use the Table Edge Staple Strip for an added layer of security if you have a table other than the UET, we definitely recommend using the strip! 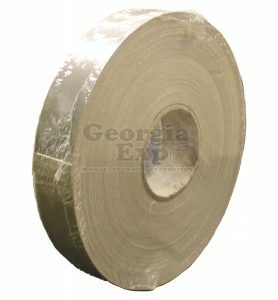 After you’ve received your staple strip roll, simply staple the strip along the complete edge of the table. 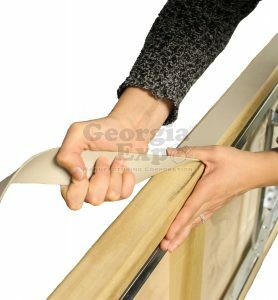 From there, attach your skirting as you normally would. Finally, when you’re done with your show or event, gently remove the skirting. Thanks to the staple strip, the staples will detach right along with your skirting…and viola, one and done. Pretty easy right? A simple solution to a persistent problem in the industry, and that’s what we’re all about. 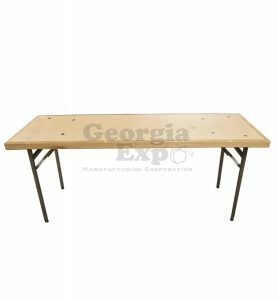 Georgia Expo is here to provide unique products and solutions for the needs of those in the event business. So that being said, if you have a problem or issue you would like solved, get in touch with us! Contact us at sales@georgiaexpo.com with any inquiries, issues you would like us to take a look at, or other how-to’s you would like covered. We’re here to help.